More on “Angst,” a New Book on Evolutionary Psychopathology | Welcome to the EvoS Consortium! Welcome to the EvoS Consortium! Advancing the teaching of evolution in higher education. A couple months ago, I mentioned a new book of interest to those who like clinical psychology and evolution. It’s called Angst: Origins of Anxiety and Depression by Jeffrey P. Kahn, M.D., a psychiatrist at Weill Cornell Medical College who also has a private practice in New York. I’ve finally had the time to read it, and what follows is not a review, really, but just a bit of info about the book so you can decide if it’s of interest to you. To begin with, Angst seems to have been written largely with a lay audience in mind. Thus, each chapter begins with a little gag cartoon and a couple of quotes. Furthermore, Kahn’s style is immediately accessible, casual, even loose, in a fun sort of way. The book is largely free of technical jargon; instead, Kahn peppers the chapters with lyrics from blues and rock songs, as illustrations of the various forms of angst he discusses. Are they necessary for his points? Of course not, but if you grew up listening to classic rock radio as I did, you’ll dig the references. Kahn’s basic premise is that our modern experiences of angst are the result of evolved social instincts that originally arose to keep our ancestral “herds” together. Kahn posits six of these social instincts, five of which are involved in specific corresponding disorders. They are: 1) panic anxiety; 2) social anxiety; 3) obsessive-compulsive disorder; 4) atypical depression; 5) melancholic depression; and 6) consciousness. I shall henceforth capitalize each of these, as Kahn does, to emphasize their status as proper types within this scheme. Kahn views most of the anxiety disorders he mentions as adaptations. If one takes an adaptationist perspective on a particular mental disorder, one can think of that disorder as either an adaptation in its own right (i.e., it does exactly what it was evolved to do, what I call the strong adaptationist sense); OR, as a disinhibition, over-expression, or perseveration of processes which evolved as adaptations but which should be considered disordered rather than adaptive in their overactive forms (I call this a weak adaptationist perspective). My view is that Kahn generally leans toward the “strong” end of the spectrum in some regards (essentially stating that each disorder is evolved for a particular purpose), although he does certainly acknowledge that modern-day circumstances make for undesirable effects of these evolved angst instincts (this is, in fact, the theme of the book). The mechanisms behind Panic Anxiety, according to Kahn, evolved to keep us from straying too far from our social groups. Thus, being isolated from the comfort of our home, friends, and family can bring on panic, as can personal success which may threaten to alienate those close to us. Social Anxiety, says Kahn, is involved in maintaining social hierarchies, keeping us from stepping unduly out of line or challenging our superiors. Obsessive-Compulsive Disorder is seen as a set of mechanisms which promote fitness by engaging in scrupulous behaviors such as “cleaning, arranging, saving, and behaving” (I have written about this perspective on OCD before, and it was a basis for my master’s thesis). Essentially, OCD-like thoughts and behaviors tend to fall into one of a number of apparently fitness-relevant domains such as resource-acquisition (as in hoarding) or cleaning (as in contamination obsessions and washing compulsions). In one of the more interesting moves (to me, anyway, since I don’t closely follow this line of research), Kahn separates two of the major depression subtypes into two different evolved instinct domains, with two distinct functions. Atypical Depression (in which people sleep too much, eat too much, and gain weight) is a mechanism involved in maintenance of social relationships and avoidance of social rejection. Despite the name, atypical depression is more common than the so-called “classical” form, known as Melancholic Depression (wherein people have trouble sleeping, lose their appetite, lose weight, lose interest in pleasurable activities, and seem to act and think in slow motion). Kahn sees melancholic symptoms as related to a “death instinct,” in which individuals lose the will to live and either elicit help from group members or cash in their chips entirely, so the group does not waste further resources on them. This hypothesis might appear to rely on the controversial group selection theory, but it could just as easily be viewed through a kin selection lens. The final of Kahn’s social instincts — or rather, process which controls our instincts — is Consciousness. Psychoticism and mania are viewed as breakdowns in this instinct (as opposed to the other five social instincts in which the associated disorders are essentially exaggerated displays of the instinct). The question of why some people’s social instincts develop into disorders while other people’s do not isn’t exhaustively explored, but Kahn does imply that the tendency for each group of traits is on a continuum, and some folks may be naturally higher on these continua than others; combined with situational stressors, disorder may result in those individuals. In fact, Kahn goes a step further and ties each social instinct to one of the Big Five personality traits: Consciousness with Openness, Obsessive-Compulsiveness (the “nesting instinct”) with Conscientiousness, Social Anxiety (the “hierarchy instinct”) with Extraversion, Atypical Depression (the “social harmony instinct”) with Agreeableness, and Panic Anxiety (the “separation instinct”) with Neuroticism. Melancholia (the “death instinct”) is not associated with one of the Five-Factor traits, although Kahn suggests that such a trait may exist — it just hasn’t been uncovered in the Big Five model because it’s not a trait that normal individuals generally experience. Using this scheme, Kahn goes on to describe why our modern environment has quite high levels of this so-called “angst.” He appeals, among other things, to mismatch theory — the suggestion that our modern environment contains novel types, intensities, and frequencies of particular stimuli that would have been as likely in most of the millions of years during which our central nervous system evolved. What treatment implications do evolutionary perspectives have on clinical psychology? This is a big question, and theoretically, the possible answers range from “Absolutely none” to “We shouldn’t treat so-called ‘disorders’ at all.” In reality, most opinions are more moderate, and Kahn, for one, believes that psychopharmaceutical treatment along with psychotherapy is still the best treatment method for most disorders. His theoretical case studies in each chapter often mention therapies which are mildly evolutionarily-informed, although he does not generally give specific recommendations, as this would be beyond the scope of the book. Kahn also emphasizes the utility, and often the difficulty, with what he calls “counter-instinctual” behaviors; for example, rather than give into social anxiety and avoid all social situations, the patient in Kahn’s case study sought out socially challenging scenarios like student body president, salesperson, and presenting sales-trainer. Since his intended readership is much wider than just clinicians and researchers, Kahn does not presume that you, the reader, know anything about the DSM classification schemes or any other definitions or typologies of mental disorder. In fact, if you are like me, having a moderate familiarity with DSM categories may initially confuse you as to attempt to reconcile your background knowledge into Kahn’s new theoretical scheme. For example, when beginning the chapter on Panic Anxiety, I was unsure which particular DSM conditions Kahn was subsuming under the term “Panic” — only panic disorder? Any panic attack? Generalized anxiety disorder? Phobias too? As each chapter progresses, these specifics become clearer, and there’s an appendix in the back of the book with standard diagnostic criteria which helps illuminate things. Kahn does explain in the opening chapter that he chooses to focus on the five disorders he does because they are so common and seem to parsimoniously explain a number of other syndromes. He also says — a point I can certainly appreciate — that the DSM classification is not necessarily the most valid one from an evolutionary perspective, and thus, his implication is that the particular way the DSM carves up disorder is not relevant for understanding his current scheme. This much is true, although I wanted to know which particular DSM disorders Kahn was including under each of his five disorders. Those who are extremely well-versed in the DSM (I am not) will probably be able to figure this out fairly easily from the information Kahn gives. So: while Angst necessarily draws on and synthesizes other clinical research and evolutionary psychopathology approaches, it is not an overview of the entire discipline of evolutionary clinical studies…rather it is a novel scheme for integrating evolutionary perspectives into medical health and illness. For practicing clinicians, the book may offer many valuable new insights and perspectives, but is not a manual of specific therapeutic recommendations. For researchers interested in general evolutionary clinical psychology, the book is a must-read, since it is the newest in a very small number of texts which blend evolutionary and clinical insights. For lay readers interested in one way in which evolution can inform clinical psychology, I would also strongly recommend Angst. It’s an easy read and a lot of fun. 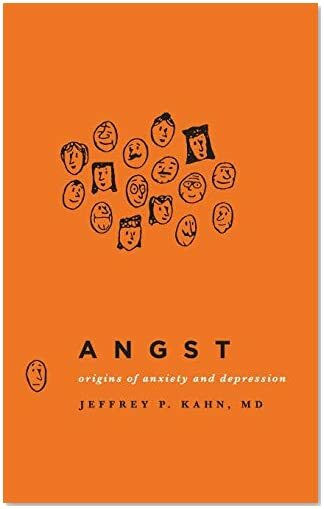 Angst: Origins of Anxiety and Depression (2012) by Jeffrey P. Kahn is available on Amazon (in hardcover and Kindle versions), in major bookstores, and perhaps in your local library. 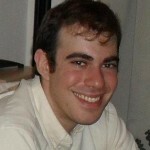 Daniel Glass is a doctoral student at Suffolk University. He is interested in evolutionary approaches to clinical psychology. Evolved This Way explores this burgeoning field, which uses evolution to understand, classify, and treat mental disorders and other clinical phenomena. This entry was posted in Clinical Psychology, Evolution and Psychology, Evolutionary Medicine, Uncategorized. Bookmark the permalink.